It is a well-known fact that straight, healthy teeth are the essential building blocks of an attractive smile. Unfortunately, not everyone is born with flawlessly straight teeth, and orthodontic intervention is often necessarily. While traditional braces are certainly a viable option for some, many adults and image-conscious adolescents find that metal brackets and wires simply don’t appeal to them. If you’d like straighter teeth but would prefer to avoid metal braces, Horsham Dental Elements in Philadelphia, PA and Horsham, PA can help. With Invisalign clear aligners, Dr. Gary Henkel effectively and efficiently straightens smiles in a way that truly fits our patients’ lifestyles. Invisalign treatment utilizes a series of clear, comfortable acrylic aligners that are custom-made to precisely fit your unique dentition. Approximately every two weeks, you’ll move from one set of aligners to the next in the series, following up with Dr. Henkel at routine appointments throughout the course of your treatment. Your new, straighter smile will gradually emerge, all without the hassle, cost, and time investment associated with metal braces. Patients love that they can straighten their teeth in a way that’s virtually undetectable and that their Invisalign aligners work so much more rapidly than conventional braces. 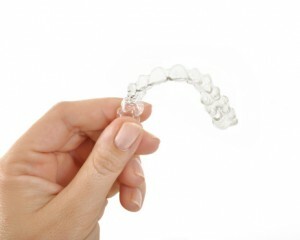 The benefits of the Invisalign system go beyond the realm of cosmetic enhancement. Properly aligned teeth are substantially easier to clean and, therefore, they are typically healthier. Patients with straighter teeth have a considerably lower incidence of tooth decay and periodontal disease, the latter of which has been linked to serious health conditions. When you straighten your teeth, you improve both the appearance of your smile and your overall physical health. If you’ve been avoiding orthodontic treatment because the thought of metal braces just doesn’t fit your lifestyle or image, we invite you to contact us today to learn more about Invisalign and its many advantages. Our conveniently located offices in Horsham, PA and Philadelphia, PA proudly serve patients from throughout the surrounding areas in Bucks County and Montgomery County, including Hatboro, Springfield, Dresher, and beyond. We look forward to helping you achieve the straighter, healthier, more confident smile you’ve always wanted with Invisalign clear aligners and our vast array of cosmetic dentistry solutions.